As the summer days get hotter and hotter, light, refreshing meals are the order of the day (or night as the case may be for dinner at Supperclub!) 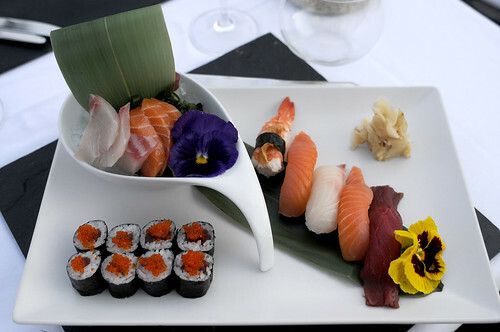 and here at White Ibiza, we love nothing more than a late night Japanese bite on the Supperclub Novum Ibiza beds! The mixed sushi and sashimi platter offers the perfect combination of succulent, freshly sliced and diced sashimi, nigiri and rolls, served up with ginger, soy and wasabi of course! Perfect for the upcoming hot and steamy August nights!